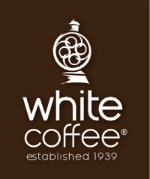 LONG ISLAND CITY, N.Y., Dec. 14, 2010 /PRNewswire-USNewswire/ -- The Coffee Review has rated White Coffee Corporation's new Primaveral Coffee with a score of "90," which is considered "outstanding" by the largest and most respected coffee buying guide in the world. The review was completed last month through a series of blind, expert cuppings—or tastings—of coffees. The findings are reported in the form of a 100-point rating system, similar to that of the wine industry.